My typical scenario ordering manufacturing of the product involves initial PO sent by the supplier and I am paying 50% of that. When manufacturing is completed and inspected, I pay the rest, but due to the fluctuation of exchange rates, various conditions on a supplier side, total PO amount changes. On top of it - shipping has to be accounted for as COG, but I do not know exact shipping charge until shipment is ready to be shipped (i.e. after I paid 100% full). Is there a way to incorporate such fluidity of real-life business and still keep track of COGs? 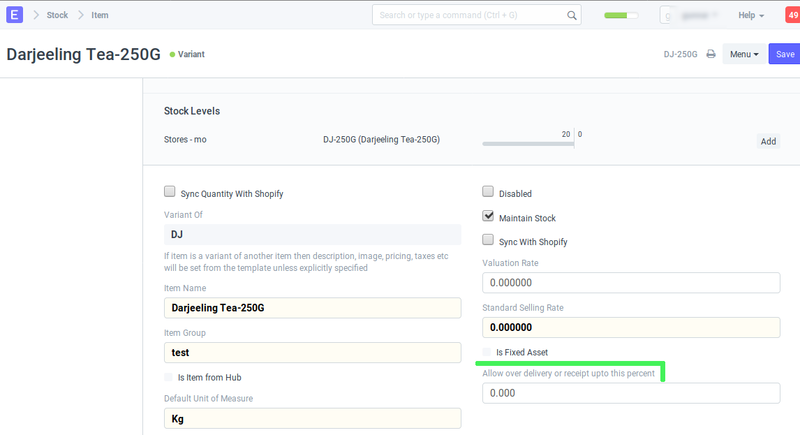 I see I can change qty of products ordered in existing PO, but I can’t seem to find out a way to change Taxes and Charges entries without canceling all the payments, PO and redoing everything from scratch. Wondering whether can you could create a second PO for the same project with those additional costs (shipment, etc.) and then consolidate both in a Single Purchase Invoice? Once you receive the shipment through Purchase Receipt, you can use Landed Cost Voucher to accommodate additional charges and those will be added into your COG. Similarly you can change the rate at the time of receiving. this variation you can set in stock settings lets say 10% of PO. isnt’t that for acceptance of additional quantity of item, not for a higher rate (=price per piece)?